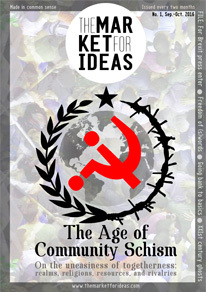 Major and influential societal architectures are possible due to the existence of particular people who are said “to have seen ideas”, believed in their ideas’ sustainability and have permanently endeavoured to put them into practice. The founders of our particular cultural establishment were visionaries following noble desideratum, and providing generously for its good works. All of them invested in an associate entity founded on the values of voluntary work and devotion which is expected to endure over time. Created through the constitutive act of the foundation members on the date of December 11, 1991, and gaining juridical personality through the Decision no. 34/22.01.1992, the Romanian-American Foundation for the Promotion of Education and Culture (RAFPEC) became the institutional form of a particular state of mind, of a family of intellectuals who pursued their stated goals without doubts, promising to themselves a commitment to the ethos of voluntary work and generosity in the quest of new ideas. The family of this institution, dedicated to education of the highest quality and the promotion of valuable ideas and social partnerships in a multicultural milieu, has been enlarged over time. Militantly following its founders’ ideals, it stands more united than ever, while also welcoming of adaptation to the new societal challenges. All of the people who are involved in RAFPEC activities or adhere to its statutory goals acknowledge the rationality of its inquiries and the insistence on empiricism in the vision of reality. In addition, they ask us to utilize strong and reasoned arguments rather than the connivance of majority imposition. Their request is for us to be visionaries, not utopians, to set high goals for ourselves so as not to succumb to mediocrity, stagnation, and self-indulgence and to gather to ourselves the values and valour for achieving our strategic goals. The acquis of RAFPEC emphasizes the dominant logic of steps to be undertaken, of the values we need to adhere to. This enhances our sense of responsibility and assigns to us meaningful tasks in the architecture of our collective work, while inducting us and our partners in the spirit of our association. RAFPEC is “a juridical person of civil law without a patrimonial goal, of Romanian nationality, with humanitarian, philanthropic, and social character, of general interest, and non-governmental, independent, non-political, and non-ideological organization”. 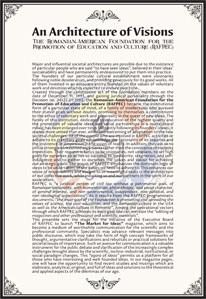 As it results from the RAFPEC programmatic documents, “the main goal of the Foundation is promoting and spreading the values of science, the civic education, and the Romanian culture in the USA as well as the American culture in Romania”. Among the operational vectors through which RAFPEC achieves its main goal one can mention the “editing of magazines and other professional and scientific materials”. This preamble sets the stage for the initiative of the Executive Board of RAFPEC to launch “The Market for Ideas” magazine, which aims to become a medium of worthwhile communication for the scientific and the professional community. Specialists may advance relevant messages into public discourse, which may take the form of high concept frameworks of thought, argumentative clarifications and rebuttals or practical solutions for societal issues of importance. 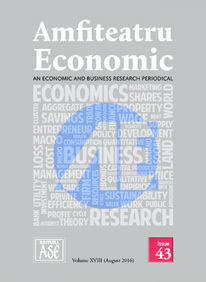 Such an avenue for communication is a valuable instrument for the public debate and clarification of the increasingly complex challenges brought about by the scientific, techno-industrial, institutional, or social paradigm changes. 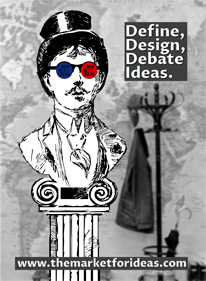 This “agora of ideas” permits us a platform for all those who have interesting and well-founded ideas. In our magazine pages, one will have the opportunity to find recent studies and musings which are elaborate, analytical, original, and full of ideas and solutions to the theoretical and applied aspects of the dilemmas of our age.